The Summer Food Service Program (SFSP) was established to ensure low-income children continue to receive nutritious meals when school is not in session. Qualified sites are in areas with 50% or greater participation in the Free and Reduced Meal Program not currently served by other SFSP sponsors. Program is geared toward children between the ages of 2 and 18. Interested non-profit organizations complete FSFB SFSP application. Additional information may be requested if approved for partnership. Potential partner sites must be within FSFB’s delivery range and serve enough meals per day to justify transportation of meals. Potential partner sites must provide a copy of the 501c3 to FSFB. 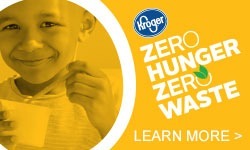 All non-profit partners must be approved by the Kentucky Department of Education (KDE) or the Ohio Department of Education (ODE) in order for the Freestore Foodbank (FSFB) to receive partial reimbursement through the federal SFSP program. 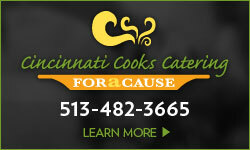 This is the only way FSFB is able to provide meals free of charge to non-profit organizations. Partner sites sign an agreement with FSFB, agree to adhere to all federal and state guidelines regarding paperwork, comply with submitting all reports/paperwork electronically to FSFB on weekly and monthly due dates. The majority of SFSP paperwork is required by the federal SFSP program. FSFB and their partner sites must abide by these requirements in order to participate in the program. Partner site provides activities to attract attendees. 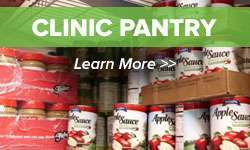 Partner site provides meals free to participants. Staff and volunteers are not eligible for meals. Partner site commits to having an on-site SFSP coordinator, and at least one backup coordinator, to work daily with FSFB staff. Partner site designates an individual to receive, verify, and sign off on meals received. For best practices, FSFB recommends that partner sites designate 2 people to serve the meal in order to maintain federal meal serving and paperwork requirements. Partner site staff and volunteers must pass a BCI/FBI Background Check. Fees associated with background checks are covered by the partner site. Partner site is responsible for paper goods and other miscellaneous items needed to serve meals as well as paper for printing out required reports and fax or other services if needed to submit paperwork. Items include: paper plates, utensils, gloves, napkins, sanitizer, garbage bags, etc. Partner sites have an oven to reheat meals if necessary and an individual authorized to operate it. If SFSP partner is operating in a host location, approval to use equipment must be received and documented from appropriate individuals at the site. Partner sites have a refrigerator to store chilled components such as milk, salads, etc. Partner sites have a kitchen sink to rinse pans and wash utensils. Partner site SFSP coordinator and backup coordinator attend mandatory annual training. Partner site provides FSFB with program enrollment materials and schedules. FSFB required to conduct a pre-operational visit, a review within the first week of operation, a second review within the first four weeks of operation, follow-up visits if necessary, and maintain a reasonable level of monitoring thereafter. Some visits may be unannounced. If you wish to file a Civil Rights program complaint of discrimination, complete the USDA Program Discrimination Complaint Form, found online at www.ascr.usda.gov/complaint_filing_cust.html, or at any USDA office, or call (866) 632-9992 to request the form. You may also write a letter containing all of the information requested in the form. Send your completed complaint form or letter to us by mail at U.S. Department of Agriculture, Director, Office of Adjudication, 1400 Independence Avenue, S.W., Washington, D.C. 20250-9410, by fax (202) 695-7442 or email at program.intake@usda.gov.